wow A perfect Macro!Beautiful and energetic yellow! Have a great week Brian! Its really brightened my day! 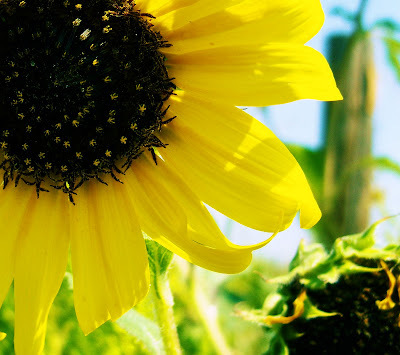 Sunflowers are so cheerful! And it's not even a short week this week. Tournesol is the French word. It literally means turning to the sun. Quite appropriate. Nice close up. Nice and crisp. They won't be here much longer will they?